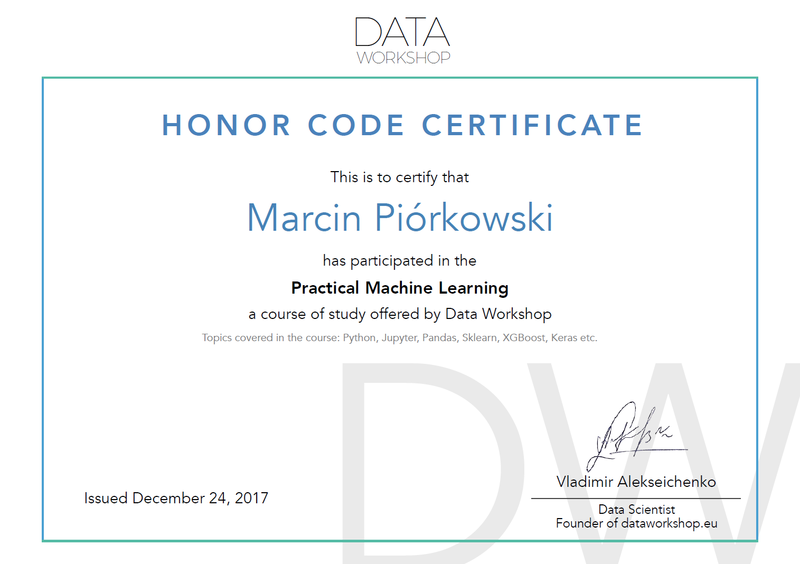 I wanted to share my last accomplishment where I participated in Machine Learning workshop handled by Vladimir from DataWorkshop. 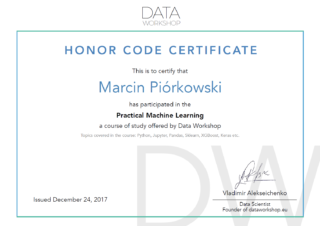 It was 8 weeks course covering following topics: Python, Jupyter, Pandas, Sklearn, XGBoost, Keras, etc. splitted into 8 different remote sessions. After each session participant were given Jupyter notebooks to perform taks by their own. It was really practical knowledge about machine learning which I believe will give me a good starting to extend my skills in that area.